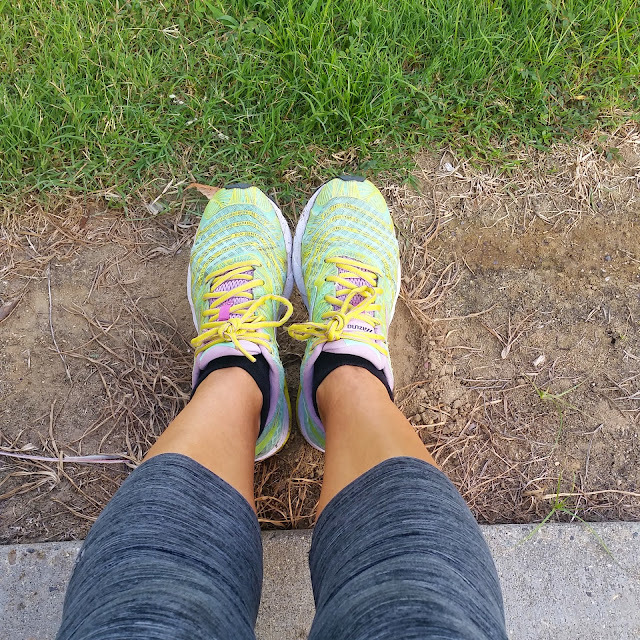 Fit Wanderlust Runner: Got Shin Splints? So along with knee injuries, shin splints are also a common injury for runners. It is a throbbing, aching pain right on the tibia, the large bone in front of your lower leg. 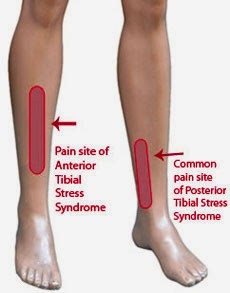 Technically the medical term for shin splits is medial tibial stress syndrome. At first, the pain may stop after running or exercise. If not treated appropriately, the pain becomes continuous with every step you make. These shin splints are caused by constant repetitive stress on the shins and tissue attached to the tibia bone. Also if you overpronate or have fleet feet, you are more prone to getting them. Beginner runners usually get them if they train too fast. So if you are a beginner, listen up. This could help you in beating the dreaded shin splints. Even the most experienced runners get these too. 1. Rest or limit exercise activity. Listen to your body. If it needs rest then take the day off to heal. If you are an exercise junkie...guilty...then cut down on the duration of your workout. Decrease the intensity and try low impact sports such and swimming or cycling. 2. Reduce the swelling and pain. Ice your shins for 15-20 minutes following your workout. Continue to do this for 4-8 times throughout the day for 2-3 days. Make sure to place a towel in between your skin and the ice pack. Elevating your leg can also help with reducing the swelling. 3. Take over the counter meds. Start taking anti-inflammatory medications such as Ibuprofen, Aspirin, or Naproxen. These will help with the pain and inflammation. 4. Stretch. I think this one goes without saying. Shin splits are often found in runners who have a tendency to pronate the foot, have tight Achilles tendons or calf muscles, or weak ankle muscles. Strengthening and stretching exercises for ankles and calf muscles can help prevent them from occurring. So how do you prevent shin splints? Change your shoes. Remember I said it is important to get fitted for your perfect shoe? Well this is why! If you wear the wrong shoes you are more prone to injuries. Add arch support. This can help some but not all. In theory adding an arch support helps relieve pressure placed on the tibia. Change your running course. Running on asphalt is hard on the feet. Try running on softer surfaces. Go out on a dirt trail and run your heart out. Your shins will thank you! Correct your form. Runners who are heavy heel strikers get shin splints more often. Also try decreasing your stride length. This helps by reducing the pull of the muscle on the tibia. Warm-up. Be sure to warm-up and stretch before a workout. Compression Sleeve. These sleeves are good for recovery but no real evidence that they help shin splints. I have some and can honestly say that they have worked for me. Every runner is different, so purchase with caution. They range anywhere from $19 to as high as $50. Shin splints hurt but they are preventable. Try not to overtrain...I know easier said than done when you are sticking to a running schedule. If you try the home remedies and see no improvement, I highly recommend consulting your doctor. Sometimes shin splints can mimic stress fractures. Have you experienced shin splints? How did you treat them?